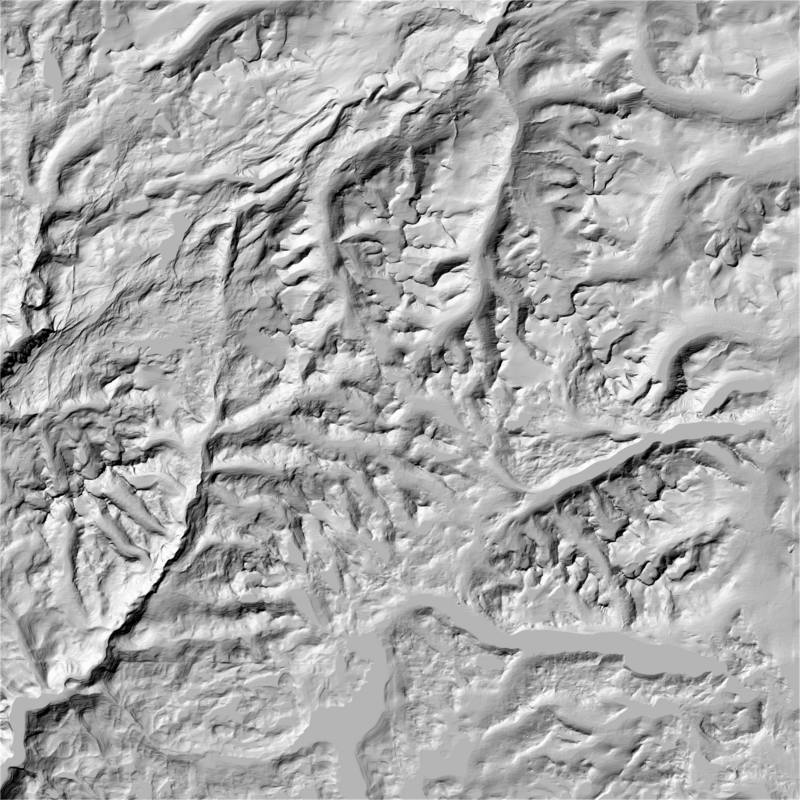 In the first part in this blog series we created a Digital Elevation Model (DEM) for Jotunheimen, a mountainous area in Norway. 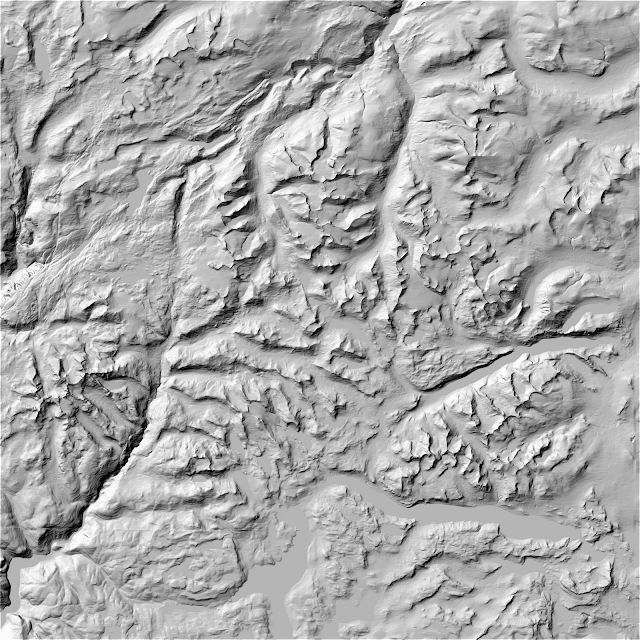 We’ll use this DEM to create hillshade or shaded relief, a popular cartographic technique to visualise terrain by modulating light and shadows on a map. It’s easier to avoid relief inversion when the light source is changed gradually. Our hillshade is still a boring black and white image. In the next blog post we’ll create a color relief - hypsometric tints - for our terrain map. The tool is installed along the free 3D viewer (allowing to drape an image over a DEM). It is also possible to apply a colormap to the DEM (featuring an interactive editor). Beginners question: in what program did you run this code? Thanks! You run OSGeo4W Shell - and then you can run the GDAL commands anywhere. Go to the folder with your data files. Thanks for the link. I am quite a beginner. What is software did you use for making series of images with different key values of gdaldem? and azimuth = 135 is right bottom place, not left bottom. I've fixed the typo. Thanks!